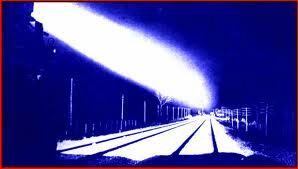 Is that a light or a train? 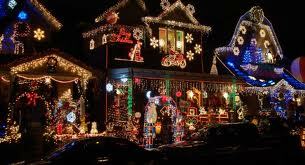 As I drive around the neighborhood, I see that a lot of people have gotten into the holiday spirit early. As I looked back over the past year, I don't recall so many decorations up this early. I can only surmise that maybe one of two things has happened. One, people have admitted to themselves that it is all over and that they may as well have one last 'hoorah'. Or two, things are really turning around in the economy and people are feeling better about it. The optimist in me wants to believe that the lights are not the headlights of a train. I believe in my heart of hearts that things are getting better. I believe that it is always darkest before the dawn. We have seen some horrible things happen in the last couple of years. People are dying it feels like at an enormous rate. People are literally being seen/heard one day and are found dead the next. Our children are being bullied at school and feel like their only recourse is to end it all. We have lost jobs at rates that have been unprecedented. The prices of gas and food are the highest ever. People are making less and expected to do more. But the drive around my neighborhood, gives me hope. I believe that dawn is on the horizon. I believe that the time that some of us has spent in the valley, has really strengthened us as individuals as well as a community. I hope we will remember the lessons learned in the valley and share them with others. This is my hope for the new year. That we will learn from the past so that we will make better decisions in the future. So is it a light or is it a train? I say light, a very bright light.